It’s been a year since I launched immersive two-day events, a year spent on-and-off on the road. It’s funny, people often comment that I must feel far too busy, and I say that sometimes I do. (Don’t we all?) Sometimes I don't feel busy enough. But one thing I almost always feel is that I am on a bit of an uncertain little cart of wonder, which is rocketing through some dark underground of my imagination, sometimes more slowly up a hill, and sometimes down an electrifying free fall. Sometimes it’s clear where I’m going, and I’ve got no choice. Sometimes I wonder what the hell it is I’m up to. I’m sometimes convinced that what I’m currently doing and what I currently offer is not all of what I have to give, nor is it the best of me. 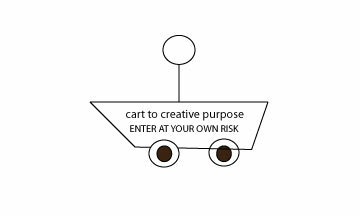 I tend to think this no matter how fast or how slow the cart is moving, but how the cart is moving definitely affects how much I worry-- about WHY I haven’t given the best of me yet, or, why haven’t I laid new track? What’s next? When will it be time? And when will I be sure? 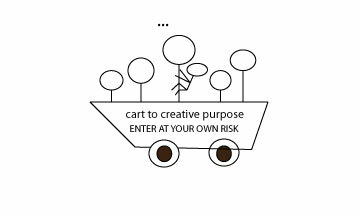 And how the cart is moving also often determines whether these questions will be linked to other questions : What does being a woman have to do with it? And what about family? And is this track even the right track? If one rolls along a wrong track long enough does the chance of the right track end somehow, even if one is building it all herself? Is one simply building a track inside of a mine created by society…and narrow-minded economic systems? Such a flurry of confusion and unanswered questions from my brain! What to do??? I must just need more time. To what? To sort it out? 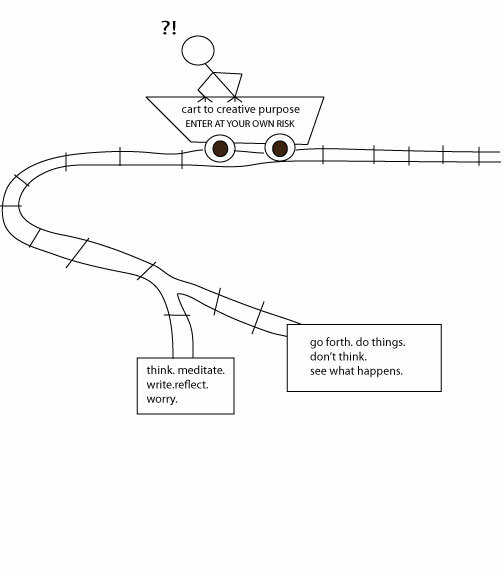 Or… what happens if I focus less on me, on the cart, on the track that’s there and not there, and just go? Do the work, whether you’re feeling it or not, whether or not you know why, and see what happens. This year I've chosen go mode. I've stopped all the meditating and hyper self-vigilance. Hence, it has been a while since I’ve truly written a reflection, and I’ve been mongering on social media, where you compress what musings you do have into short little sound bytes with a photograph--usually of food, mountains, pets, or your feet. But the cart is picking up again now, with a jog to Denmark for the MAD Symposium, and several two-day charcuterie intensives and several more Mother Earth News Fairs. Yesterday, while I wrote a HACCP plan and my kids were all like: “summer is BORING. All we do is sit around while you WORK. WHAT are you even doing? Can we PLEASE go somewhere?” I vowed to wake up at 4am today so I could actually tap out some reflection, get in touch with my people, do some of that “me” crap. I grabbed my little blue to-do book, wrote the vow down, and then took off with five kids to the pool and the ice cream store. Some days, the cart is crowded. So, enough ricketing around already. What’s up? What have I learned this year? Where is that taking me? I’ve realized that the best things about this past year have been the things I didn’t foresee. I set out to teach charcuterie quite simply, to try and embody my book, and to try and hand out skills for which people seem hungry. Check. These things are happening. For that I’m thankful. Other things are happening too, however. And these are the things that really get me. For one, people are coming together. The thing I am doing is gathering people who mostly don’t know each other into a house or a barn or a hotel kitchen, or whatever and making them tie on aprons and inviting them into a conversation about what I know, and an atmosphere of what I believe. We all have a common interest, already, but that’s about it. So what unfolds ends up being pretty special, pretty unique every time, but also always pretty much universally rad. COMMUNITY! One thing that has come out of intensive events is a community where one did not already exist. I may be transplanting from a different community into a locale to fast-talk for two days, and some students in each class have traveled from a far community of their own, but the bulk of the folks in each event are from the area where the class is being held. As we work to make sausages, confit, pâtés, salamis, and more, we develop a bit of a family. We share ideas, from the creative to the insane. We trade opinion. We offer each other perspective. We problem solve, as we mix spices, as we tie casings, as we smell the smells of our creations. Then I’ll leave, and what I find is that a miniature food club is left behind. People buying cooperatively, people harvesting cooperatively, people having charcuterie parties and attending each other’s weddings, and teaching each other cheese making and taking their kids to their classmate’s farm to pet the goats. Bam. Real food, and really any complex, creative pursuit, is knowledge and leadership , yes. But is also community. I have been reminded. RELATIONSHIPS! Every person in each class brings something to the class that makes it what it is. It is amazing. I’ll find myself halfway through some phase of the agenda in some kitchen somewhere, and in the back of my mind I’ll be going “Oh! I just figured out Mark. He’s the student who doesn’t ever talk unless he is a)re-wording something I said so that it makes more sense to everyone or 2)making a witty joke.” Finally. That guy was a total mystery until now. Thank God for Mark. Jokes and re-iterations are always welcome. Thank goodness for Kelly, always positive and up for whatever. And Bill, chef Bill—feet and hands always moving in the way industry people’s feet and hands always are. Creative experiences are about intention and planning and quality, yes, but also about the character, talent, and complexity of the people who attend. I have been reminded. ACTIVISM! I advertise free thought as part of my class inclusions. I am of the opinion that one should not offer experiences about craft food without exploring out loud the big picture systems (both good and not-so-good) that prop up or explain or beget that good food. And so—we talk about big ideas, and we disagree sometimes, and I throw out big, unanswerable questions about the world, wild opinions about the microcosm, hair-brained ideas about how to solve some deep issues, and well-considered ideas about how to address some others. And then, a little army of curious people goes off thinking about all of this. And even testing some of those crazy ideas, and then finding them good, or finding them flawed. Yeah, I’ve always wanted to test that particular composite breed of sheep in a dynamic pasture-based system....but I’m in this crazy cart. But then, low and behold, I get an email from a past student. And HE’s got that herd going, and wants to know-what do I think about a little buckwheat in their summer annual pasture? Change is about action and work and decisiveness, yes, but also requires testing, catalyzing, collaboration, shared energy, and shared responsibility. I have been reminded. ART! More and more, as I realize the information I am sharing in class is becoming an automatic extension of my regular daily dialogue, I am able to shape the character and atmosphere of each class. I aim to set a mood, if you will. I would like there to be zero separation between art and cuisine, and so I want my students to step into a space that feels like a playground for the senses. A space that sets a mood, invites creativity, and asks them to flex their intuition and share freely of their unique personality. This is a constant work in progress, but each time, the tapestry gains elements. The student recipe creation activity has everyone scurrying around and grinding, tasting, and smelling. Every morning I pile a bunch of wet, fresh herbs on the middle of their work tables. One student comments: “I don’t know why they are so inspiring!” Oh love, I don’t know either. Laws, I don’t even care. By the end of the event, as the group is spreading out their creations, inevitably, always, someone is sticking flowers everywhere, and someone has decided to make a reduction to pour over the pâté, and someone is worried that the pickles aren’t perfectly ordered by color. Art is not extra, secondary, optional, or avoidable. It is essential, and it is inherent in nature and in food. Even in times of confusion, we all order our lives according to its muses. I have been reminded. These unintended reminders and outcomes of my intensives have been the most rewarding part of my year. 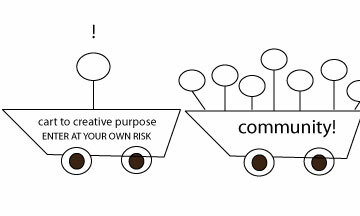 My one confusion has been understanding why they all resonate as part of my creative purpose. As I forayed into intensive teaching, I figured I was just open sourcing knowledge and skills for the food future. But I have come to realize that teaching has made more of me than that. I teach to inform the food future, yes, but teaching is a flexible space wherein I work to steward, nurture, challenge and befriend a bunch of questions about that future, via creating community and relationships and activism and art with people who will all make the food future- by risk, by failure, by success, or by some other means. It is a struggle to be a thinker...to be the bearer of questions, and the rough unmet ends of possible answers—especially until you realize a reason for you carrying all that. Creative people, in general, seem to always be looking for that reason, and in the seeking, they have a hard time deciding what to do with all of their ideas and all of their thoughts. To settle on one or specialize in anything feels like shooting too low. And yeah, I feel that way constantly. But teaching, I realize, has given me a way to just stretch out a big line, and somehow air all these questions and ideas out into the light. Teachers, like any thinkers, bear the work of holding all the questions, but then go so far as to hand them out to other people. Hopefully as creatively as possible, and with as much knowledge as they can muster, to a world of diverse students, who in turn modify and inform those questions, so that the cart rolls on. There's a lot of new track unfolding over here, and I don't necessarily know if I'll always be teaching as part of my creative outlet. But my current endeavors are showing me so much artistry, so much hope in the human collective, and so many landing places for what otherwise might just be a lot of clutter in my little cart. I'm grateful. And, wearing the mantle of teacher as part of one's purpose really gives the whole dang program more zing. Because then I get to ask, what makes a teacher really, really good?